The artist Tracey Moberly worked alongside Tony Benn to compile a series of large Voice Portraits or sonograms on canvas to celebrate the life work of Tony Benn. Sonograms have been used for decades by scientists involved in audio analysis, such as voice recognition, bird song and many other areas of audio application. Within this unique exhibition Tracey uses the same technique to capture her favourite key moments from his words and renders them as sonic visual artworks. The art works are highly colourful and visually powerful in both meaning and form. In a documented speech about the exhibition Tony Benn, Tony likens himself to the artist’s muse as a concrete block being chipped away by a a sculptors chisel to produce the work from his words. He advocates the oral tradition and the art of listening. 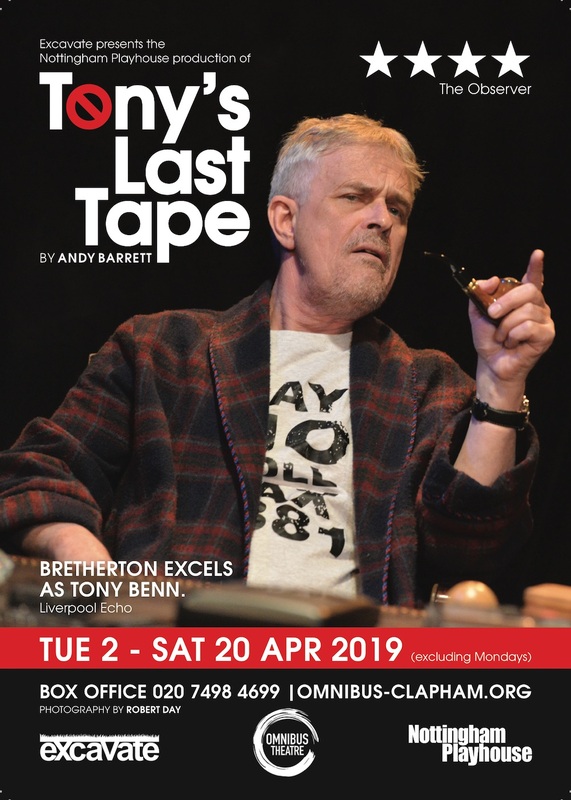 The exhibition which accompanies the play Tony’s Last Tape written by Andy Barrett and directed by Giles Croft - comprises of the sonogram visualisation of Tony Benn’s words from the audio tapes he made each night after Parliament closed. One section focuses on the subjects of Missiles, Miners & Monarchy from his record diaries. 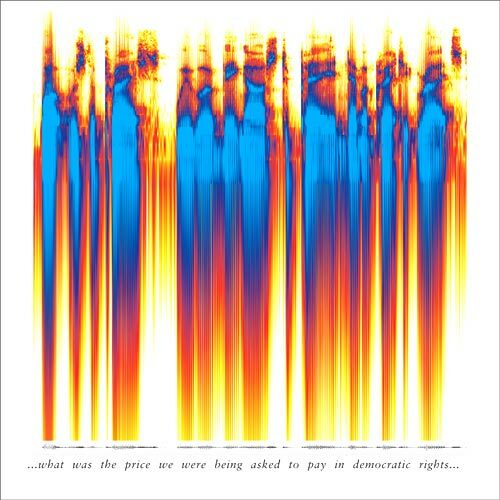 The second section following appearances on Tracey’s past weekly London radio programme the Foundry’s Late Late Breakfast Show where a selection of Sonograms were created from his words from these on the National Health Service; Newsnight; Stars and Tony’s Pipe … a visual representation of Tony Benn through his words.